Not strictly a Dylan song, but Poem #4 of "Some Other Kind Of Songs..." from the sleeve notes of "Another Side Of Bob Dylan", set to music without authorisation along with Poem #5 GO JOSHUA GO by American actor (and friend of Dylan) Ben Carruthers for a BBC drama called "The Man Without Papers" by Troy Kennedy Martin, 6 Jun 1965. 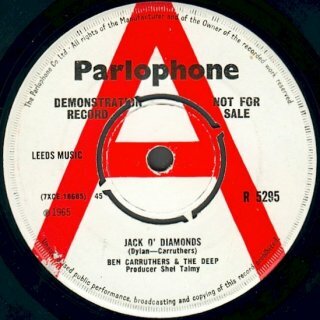 At the time the BBC listings magazine "Radio Times" claimed the songs, played by a band called Seeds, had been written by Dylan specially for Ben Carruthers. 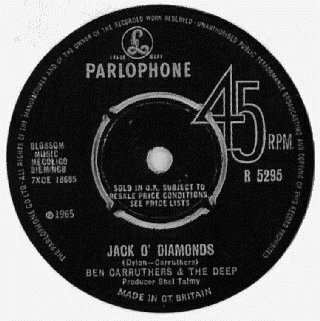 JACK O' DIAMONDS was released as a quickly withdrawn UK Parlophone single by Ben Carruthers with the British group, The Deep (featuring Jimmy Page on guitar). 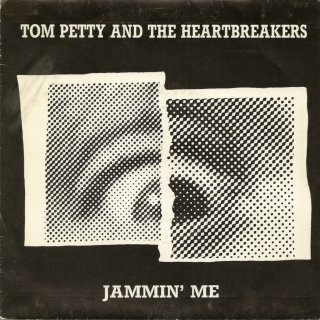 This title is also one listed as being on a hoax tape called "The Pittsburgh Radio Tape", mentioned by Paul Cable in his book "Bob Dylan - His Unreleased Recordings". 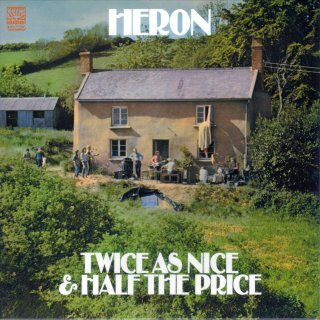 The song was recorded by Fairport Convention in 1968 on their first self-titled album (UK LP - Polydor 582 035; US LP - Cotillion SD 9024, 1970; UK/US CD - Polydor 835 230-2, 1990). There is a live version from Aug 1997 on "The Cropredy Box" (Woodworm Records WR3CD026, 1999/Mooncrest CRESTBCD-042, 1999) which can also be found on the compilation "Wishfulness Waltz" (Mooncrest CRESTCD048, 2000), and a second live version from Aug 2002 on the 2CD set "Another Gig: Another Palindrome" (Woodworm Records WR2CD 039). Thanks to Jack Guerreiro that the album "Wishfulness Waltz" was originally released in 1997 under the title "Who Knows Where The Time Goes?" 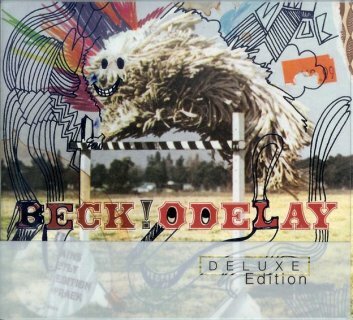 and then re-released in 2000 with four extra tracks including the 1997 live version of JACK O' DIAMONDS. 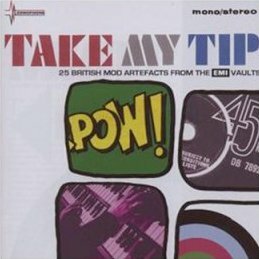 The original single by Ben Carruthers and The Deep is now available on the 2007 UK Zonophone compilation "Take My Tip: 25 British Mod Artefacts From The EMI Vaults". 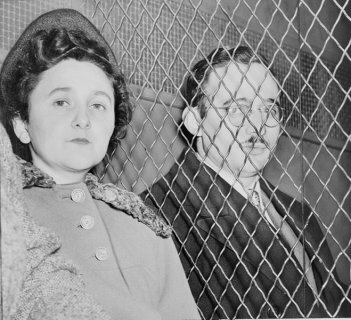 The writer is unidentified by Krogsgaard - thanks to Gil Walker for the information that this song is credited to "Lord Burgess" on albums by Arlo Guthrie, Chuck Berry, Harry Belafonte, etc. It is actually copyrighted at ASCAP by Irving Burgie, and has also been recorded by The Kingston Trio, The Four Preps and Chubby Checker among many others. 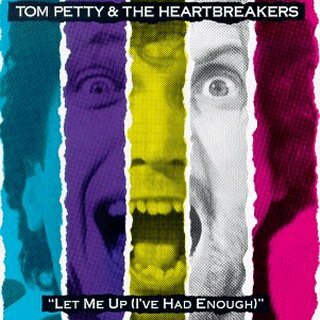 Supposedly Bob Johnston made an acetate of this song for Ron Cornelius, but this story has not been confirmed - hopefully it will turn up on a future "Bootleg Series" release! 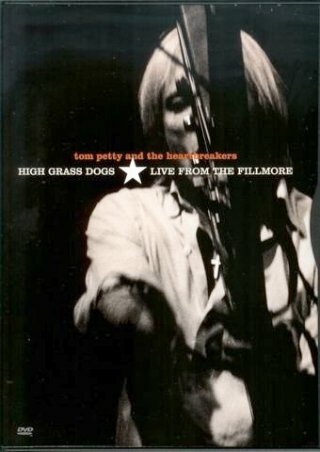 Recording session sheet title of JUST LIKE TOM THUMBS BLUES, released on "Highway 61 Revisited"
Recording session sheet title of SHE'S YOUR LOVER NOW released on "The Bootleg Series Vols. 1-3"